This pizza recipe is inspired by one I had at North End Grill, Chris’ and my favorite go-to spot. We started going there 4 or 5 years ago probably once every few months but since we moved within walking distance that number has increased to at least twice a month. While the number of food places has recently skyrocketed around the World Trade Center (noted by the times last week) its still no West Village – my favorite quote from the article was Danny Meyer saying he had “a tough time convincing other New Yorkers that Battery Park City was not Cincinnati.” But since I am not famous or cool enough to get into places like Locanda Verde (apparently having worked there gives you zero bonus points up front), I was more than happy to cross the “Mississippi River” for tasty food and some Midwestern charm. But im getting off topic here. 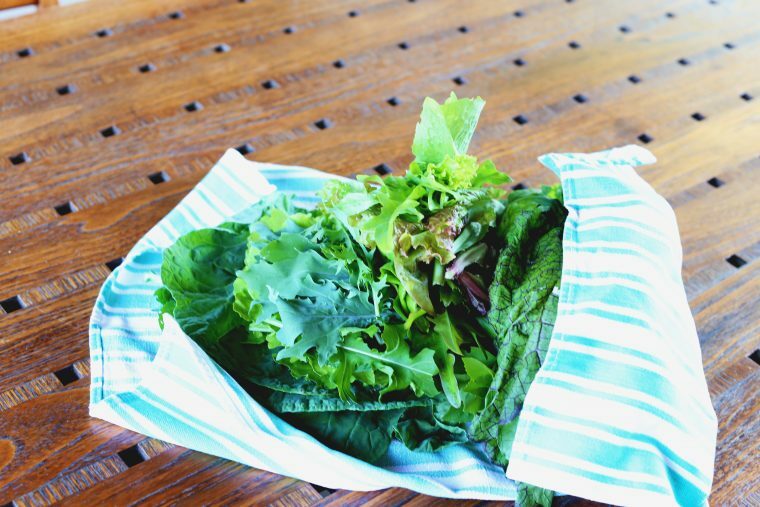 The recipe really came together standing in my Dad’s garden with a colander full of freshly cut greens and while a big salad is always an excellent addition to any meal, I wanted to spice things up a bit (yes, this seems to be a recent problem i’ve been having). Since steak was on the menu and I usually make bread, i thought well heck why not make pizza dough and hang with the boys by the grill. 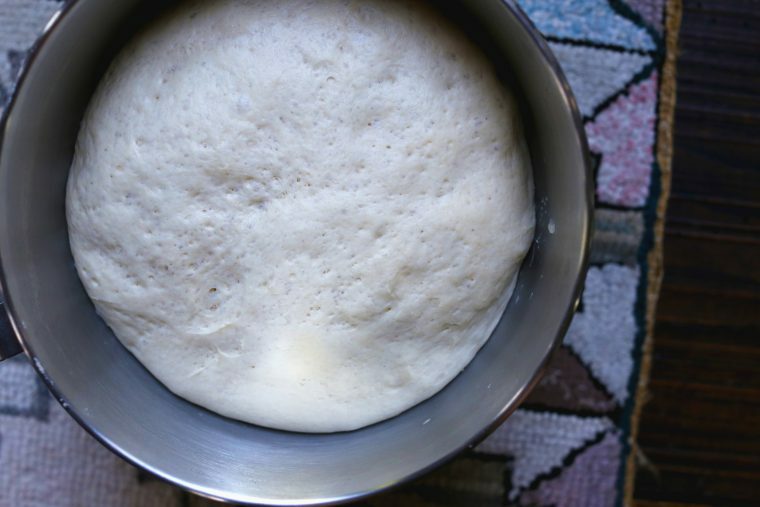 While I of course recommend making pizza dough, I understand that it is summer and we all want to be playing outside so you can either get dough in the grocery freezer section or if the store has some tasty naan or flatbread by all means, go for it. It will still be scrumptious! Heat your grill to its hottest setting. Divide pizza dough into 4-6 equal pieces depending on if you want individual pies or more of a crowd-pleasing appetizer size. Roll them out and cover with a towel to rest for 15-20 minutes while you prepare the toppings. Add the zest of both lemons to the ricotta as well as the juice from one of the lemons and season with salt and pepper. 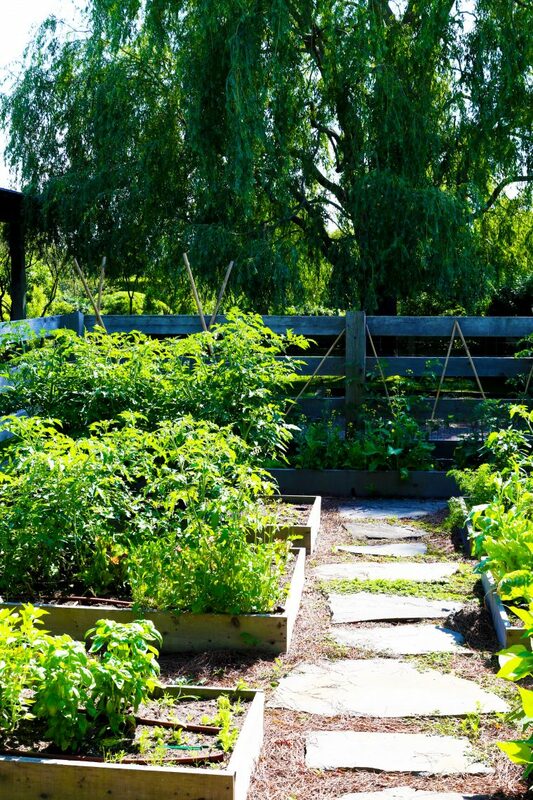 Whisk the juice of the other lemon with the olive oil, season with salt and pepper and use this to dress your garden greens (you might not need all of it). Add a touch more olive oil into the used dressing bowl - this will be for brushing the pizza dough. Brush one side of dough with olive oil and place that side onto the grill. Brush the top side quickly and close the grill. Let cook 2 minutes and flip once the dough has some nice grill marks. Cook another 2-3 minutes on the other side. Let cool slightly. 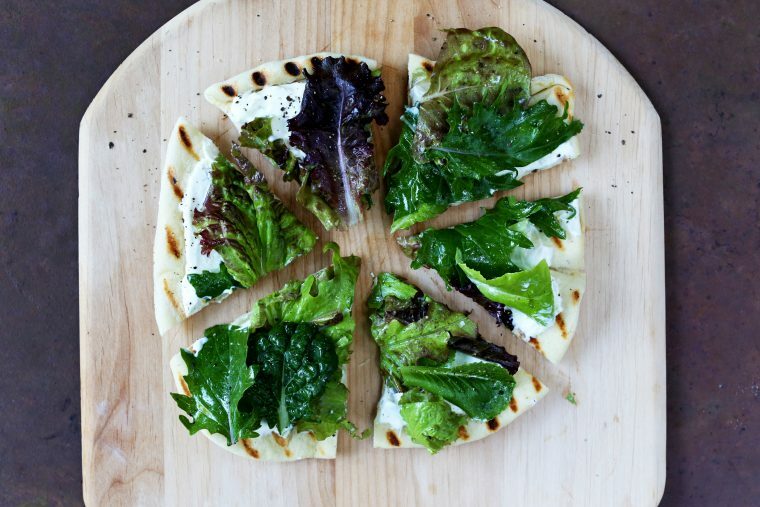 Top pizzas with ricotta and dressed greens. Enjoy promptly! 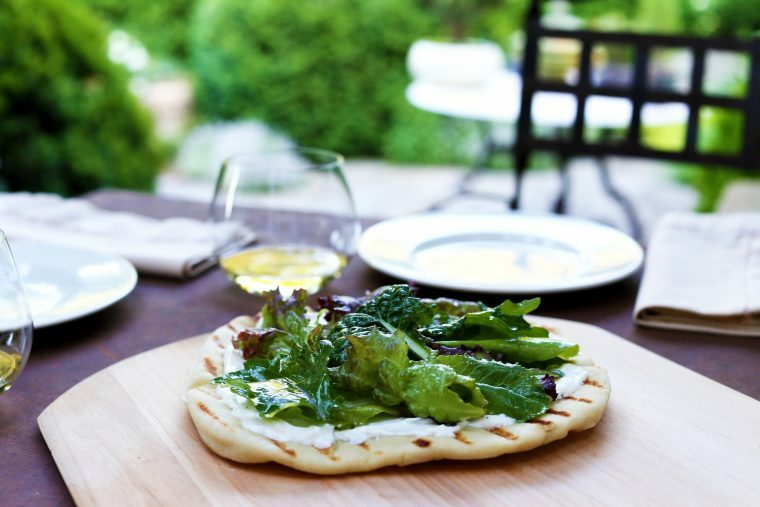 *You can also find pretty decent pizza dough in your grocery freezer section or to go the simplest route get some store-bought naan (whole foods sells a tasty one) and all you have to do is heat it up on the grill - i mean no judgements here, this recipe is really about easy fresh grilling. 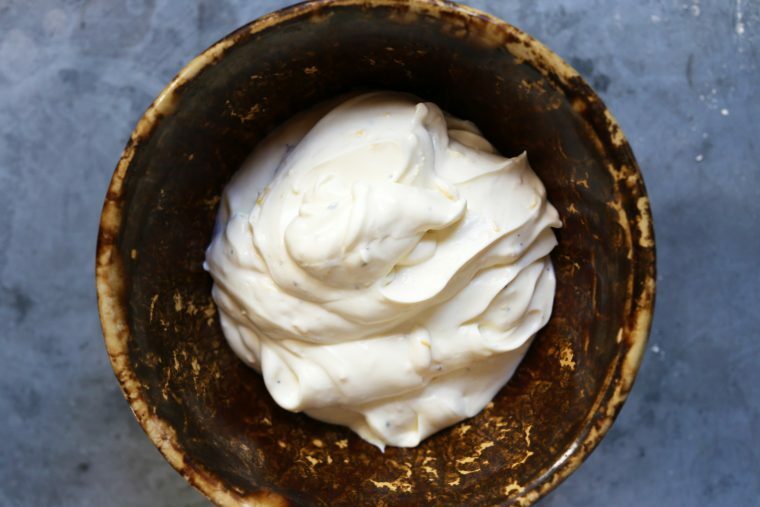 Whisk the water and yeast together in the bowl of a mixer and let sit a minute. Add the flour, salt and olive oil and mix on low speed until it starts to look shaggy. 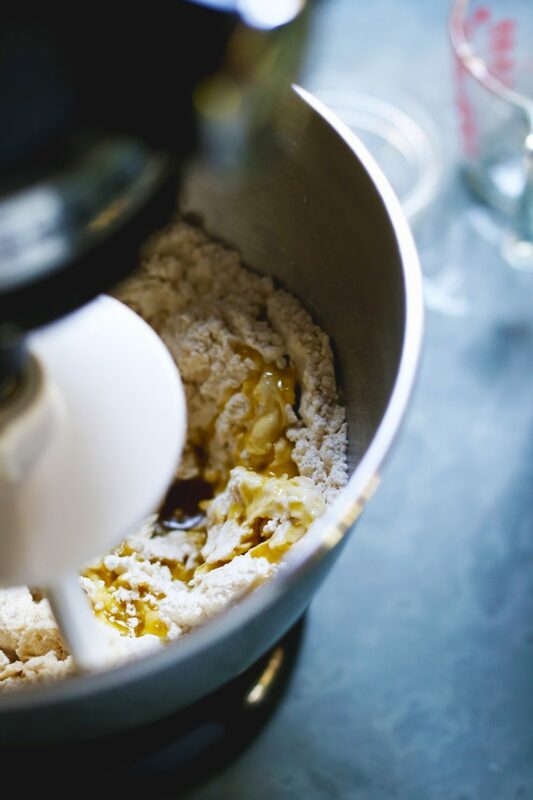 Stop the mixer and pinch some of the dough - if it feels soft and moist it is on the right track, if it feels wet add a few tablespoons of flour at a time to get right consistency, if it feels dry and/or tight add a tablespoon of water at a time. 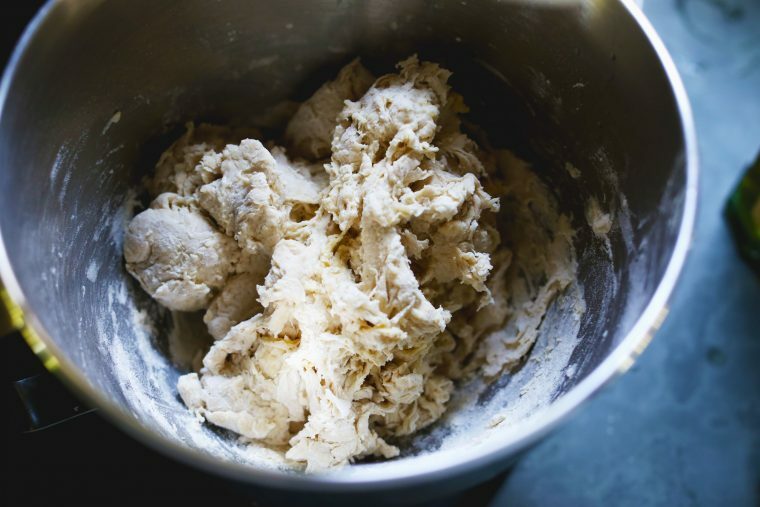 Continue mixing on low-medium speed until the dough looks smooth and forms a ball around the dough hook (3-5 minutes). Cover the bowl with plastic wrap and set aside to rise for 1-2 hours - the warmer your kitchen the faster the dough will rise - I try and put it in the warmest spot, like away from the ac, but don't worry too much about it. 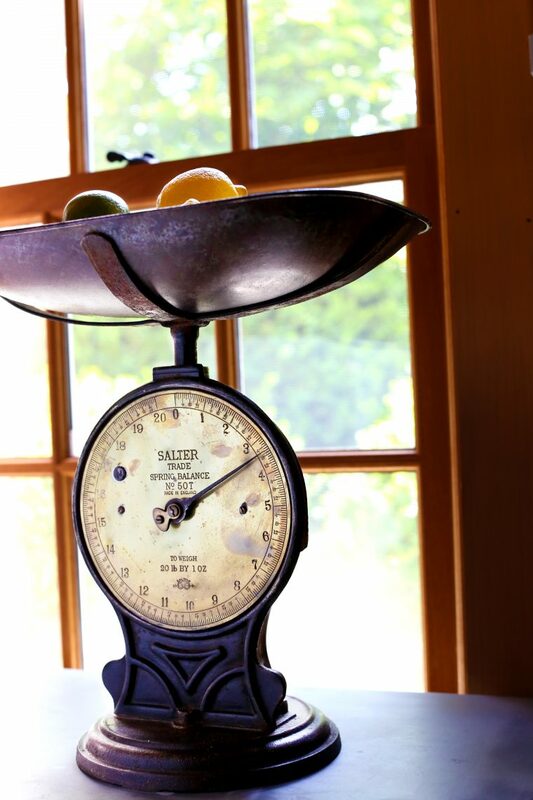 If you do not have flexibility make the dough a day or two before and let rise in the fridge until you are ready to use it. 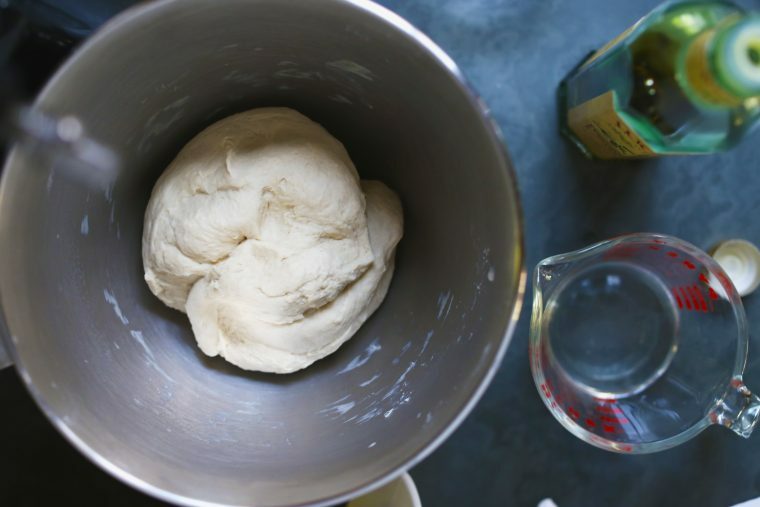 Divide dough into desired number of pizzas. Roll each piece into a ball, let sit 20 minutes (if you can, it will be easier to roll out). 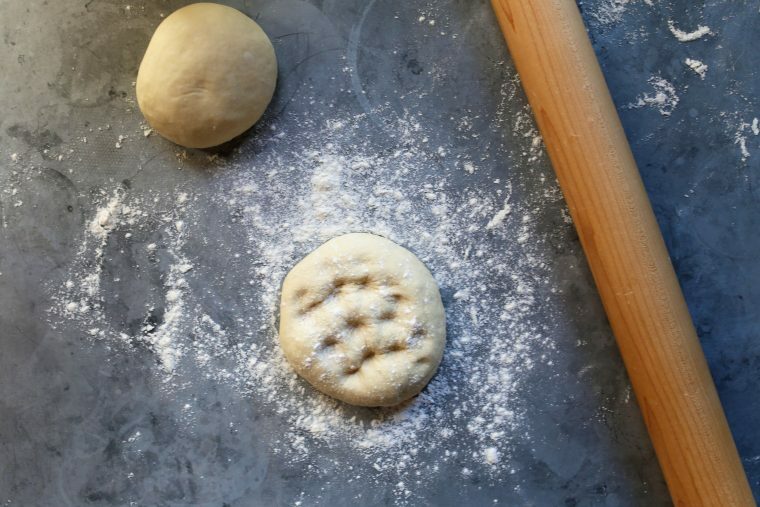 Generously flour your work surface before rolling out using a rolling pin and gently stretching over the backs of your hands. 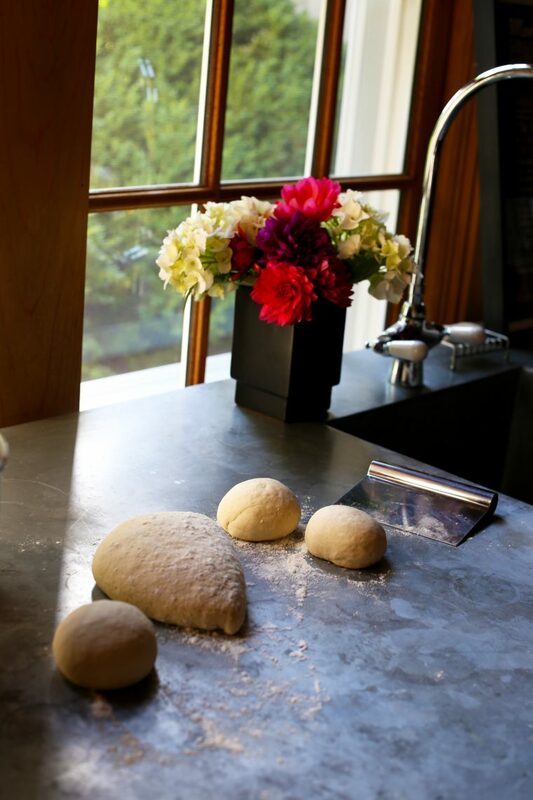 Place rolled out pizzas on parchment, cover with plastic or a clean dish towel and let rest another 20 minutes. Follow cooking instructions of your particular recipe.